For certain repowering power plant projects Aspen has also evaluated the impacts of the demolition of an existing power plant, such as the demolition of the Encina Power Station in Carlsbad. Additionally, Aspen has completed over 60 visible water vapor and/or thermal plume modeling analyses for power plants, including solar thermal and geothermal facilities. The AQ and GHG analyses usually focus on the stationary source air pollutant and GHG emissions during operations for fossil fuel-fired power plants. Renewable energy facilities require a focus on construction-related emissions and fugitive dust emissions. Aspen’s experience includes evaluating impacts and determining appropriate mitigation for a wide range of generating facilities, from commercial sized solar that are less than one megawatt in capacity, to major fossil fuel-fired power plants exceeding 1,000 megawatts in capacity. Aspen has assisted the California Energy Commission in evaluating the AQ and GHG emissions impacts of over 60 proposed power plants in California since 2000, including several non-fossil fuel-fired thermal power plant projects; our staff provides expert witness testimony for these projects as necessary. For these efforts, Aspen often reviews Application for Certifications, provides data requests to obtain necessary documentation, prepares comprehensive air quality and GHG emissions assessments, provides expert witness testimony, and directly supports the managers and counsel throughout the licensing process. 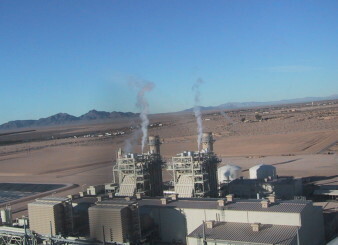 Our staff independently reviews and completes the necessary construction and operation emissions estimates or atmospheric dispersion modeling analyses to evaluate whether a proposed power plant could be constructed and operated safely in accordance with laws, ordinances, regulations, and standards (LORS). Aspen also assists the Energy Commission in assessing compliance with air quality conditions of approval and review of power plant project amendment requests. These evaluations can include specific compliance determinations, reviews of recordkeeping and reporting for compliance, or completion of major amendments. Other field and compliance capabilities include conducting compliance audits and preparing and implementing fugitive dust management plans.